“The word of truth, the gospel … in the whole world it is bearing fruit and growing — as it also does among you, since the day you heard it and understood the grace of God in truth” (Col. 1:5b–6). Heresies differ from one another in the precise errors that they teach, but they are always grounded in the same kind of assumptions basic to all false teaching. For instance, Islam’s insistence that Jesus is only a prophet and Mormonism’s contention that He is a man who has achieved the exalted status of godhood are plainly different in content. Yet both of these falsehoods are based on the assumption that Jesus is not who the New Testament says He is — the only God, who became incarnate to redeem sinners (John 8:58; 2 Peter 1:1). Another basic assumption in which all heresies are rooted is the belief that because the Bible is an insufficient revelation, we need more from God to know Him and His plans truly. Sometimes this “extra” revelation exists in written form, like the Qur’an of Islam. On other occasions, it is a secret knowledge known only to a select group of elites. 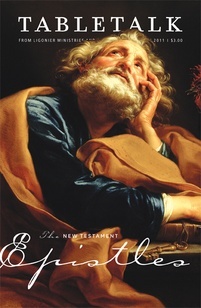 The teachings that plagued the Colossians when Paul wrote to them resemble this kind of elitism, which is why the apostle takes care to assert in Colossians 1:5b–8 that the true gospel had come to Colossae in the past, before the arrival of the false teachers, and that Epaphras, the man who brought it to the city, was a faithful servant of the truth as it has been revealed in Christ Jesus. We know little about Epaphras except that he was a co-laborer of Paul’s who was willing to suffer with the apostle in prison if need be (Philem. 23). He was likely from the region in which Colossae was located, but even if he was not, he had a fruitful evangelistic mission there and in nearby cities like Laodicea. That Epaphras’ presentation of the gospel was true, Paul indicates, is seen not only in the fact that there is a self-evident truth to the content of the gospel (the gospel is called the “word of truth” in Col. 1:5b), but also to the transformative effects of its preaching among the Colossians and the whole world (vv. 6–8). Paul’s point seems to be that God’s chosen recognize the gospel’s veracity as it is preached accurately and effects change among its hearers. As the New Testament scholar Douglas J. Moo explains, “The gospel is authenticated not by its truth only nor by its power in people’s lives only but by both working in tandem” (The Letters to the Colossians and to Philemon, p. 89). May the truth of the gospel continue to transform us. If there is no change from smug self-righteousness to humble, selfless repentance in those who profess the gospel, then the church should consider whether it is in fact preaching the gospel and its application to all of life. Of course, the Spirit sometimes works longer than we might like to bring change through the gospel, so a lack of apparent transformation does not automatically mean the gospel is being compromised.